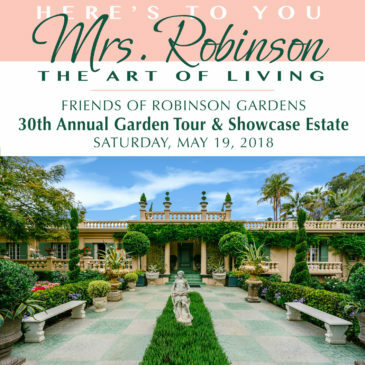 Designers of the 2018 Virginia Robinson Gardens Showcase Estate & Garden Tour! Virginia Robinson Gardens Is In August Company! Virginia Robinson Gardens is Number 2 – And Proud of It! Photos by Elayne Lodge & Kenneth Johansson. To order pictures or a compact disc of the entire collection please contact kenneth@kennethjohanssonphotography.com directly. The Robinson Gardens thank you to our benefactors for their generosity throughout the year. Joan Thomas captures the beauty of Robinson’s Gardens flora with her macro photography. Fall Entertaining event at Virginia Robinson Gardens featured on Ciao Domenica blog.